Agnes has been an independent consultant, helping individuals and groups to be more effective in what they do, for more than 35 years now. She offers a wide range of personal and organizational Human Resource Development (HRD) Services to numerous Corporate organizations, Medical groups, Academic Institutions, Government and Non-government entities. Some of the organizations she has done work for are: Yuchengco Group of Companies (YGC), Boehringer-Ingelheim, Inc. (BIPHI), United Laboratories (UNILAB), Malayan Insurance, San Miguel Corporation (SMC-Beer Division), Philippine Airlines (PAL), Lufthansa Technik, Phil. (LTP) Dharmala Group of Companies (Indonesia), Tollways Management Corporation (TMC), Lopez Group of Companies, United Graphic Expression Corporation (UGEC), U.P. College of Medicine, Medical City, Cardinal Santos Medical Center, U.E. Ramon Magsaysay Medical Center (UERMMMC), Department of Foreign Affairs (DFA), Department of Health (DOH), Department of Social Welfare & Development (DSWD), Department of Public Works & Highways (DPWH), Social Security System (SSS), and NGOs like Christian Children’s Fund (CCF), Friendlycare Foundation, Inc. (FCFI), Trainors’ Collective, Inc (TCI), PLCPD, etc. Since 2004, she has been a Faculty member of the Psychology Department of the Ateneo Graduate School of Social Sciences and a Consultant of the Ateneo CORD, conducting programs in Leadership, Coaching & Counseling, HRD for non-HR, Employee Relations & Well-Being, Managing Life Transitions, etc. Four Disciplines of Execution; etc. Since 1986, she has been a consultant of the UP College of Medicine, the UERMMC, and the Medical City, conducting Faculty Training and assisting in establishing standards for their Admissions Committees. 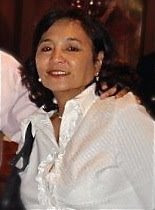 Graduated AB Psychology, University of the Philippines (1970) and MA in Clinical-Counseling Psychology from the Ateneo de Manila University (1975).